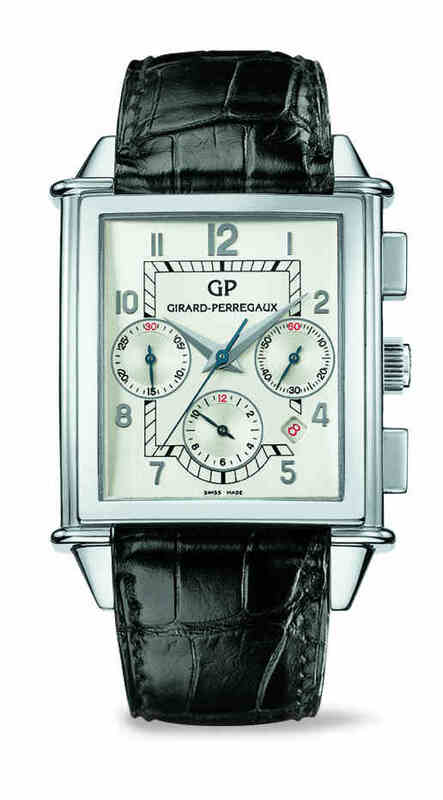 The Vintage 1945 collection is one of the pillars of the GIRARD-PERREGAUX brand. The version presented here reveals a different side of the character of this timeless classic. Modern, sporty details combined with the art-deco inspired Vintage 1945 case: all of this in a large eye-catching timepiece. The embossed waffle pattern and the chronograph counter rings add a rich, three-dimensional effect to the watch face. The red numerals are a familiar stylistic feature at GIRARD-PERREGAUX and one that will be instantly recognized by the connoisseurs.